Quality roof cladding is essential for durability and blocking out the elements, but if you don’t just want a style of roofing that blocks out everything with uniform aptitude, clear roofing sheets and GRP roofing lights may just be the solution you need. If you want your roofing to let in a little extra light, then you’ve come to the right place. At Bushbury Cladding Ltd, we have a variety of clear roofing options, and we are confident we can help you to find the right roofing to suit your needs and requirements. Clear roofing sheets are the perfect solution for offering more light into your building, offering quality and durability. 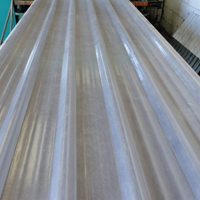 At Bushbury Cladding Ltd, our clear roofing sheets are a standard 1m in terms of cover, are very robust and allow 85% of the natural light to pass through them. Although they are not wholly transparent, they are very translucent, and you’ll find that they will keep your building light enough for any eventuality that you have in mind. Clear roofing sheets from Bushbury Cladding Ltd boast superior flexibility, and are capable of blending in superbly with many of our other types of roofing products, enabling you to adapt the exact pattern of your roofing as desired. Our GRP roofing lights are ideal for buildings such as industrial work premises, shops and units, car ports and farm buildings, and you needn’t assume that their dual purpose as ‘lights’ compromises their quality in any way either. Bushbury Cladding Ltd supplies extremely high grade GRP roofing lights which are perfectly suited for either our corrugated 3" or box profile 32/1000 sheets. 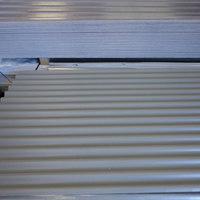 GRP roofing lights are both tough and long lasting, and can be fixed and installed using our tried and tested methods. As with all of our products, you can rely upon 7-10 day delivery times, or if you would prefer you can collect your sheets in person. Your satisfaction is our number one priority, so we aim to make our service as flexible as possible. Available in standard 3m & 4m lengths only and can be fixed with same fixings as our steel sheets. Clear roofing sheets and GRP roofing lights are the perfect solution to getting more natural light into your building, and at Bushbury Cladding Ltd, we can supply you with the right materials to suit your needs and requirements. To enquire about our roofing options or for your free colour sample, please don’t hesitate to contact us today. Get in touch with us by phone on 01902 229412, by emailing us at info@bushburycladding.co.uk, or alternatively, by filling out our quick and easy online contact form.